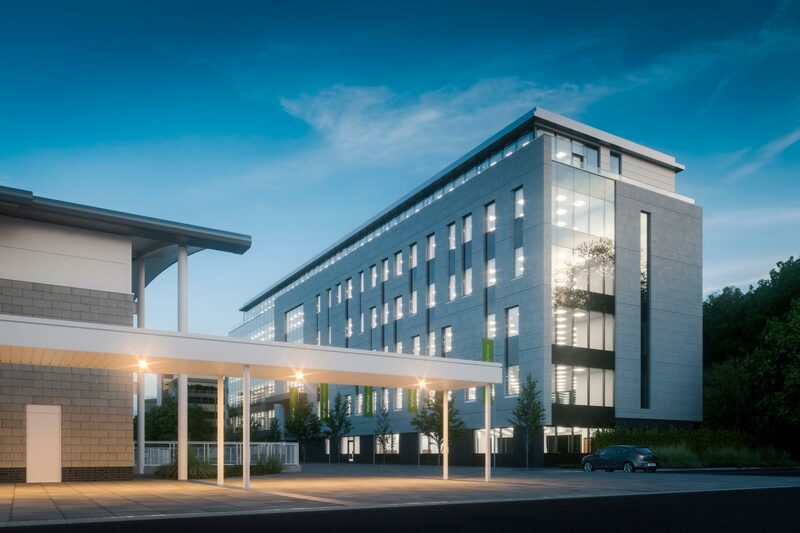 Honeybourne Place is a landmark new office development in the heart of Cheltenham’s business quarter providing 65,000sqft net office space over six floors. The striking contemporary design and high-end specification set it apart and raises the bar for offices within Cheltenham. The contemporary design is also highly efficient and flexible, with free-span floor plates on all levels as well as extensive glazing to provide panoramic views and achieve the highest quality of interior space.